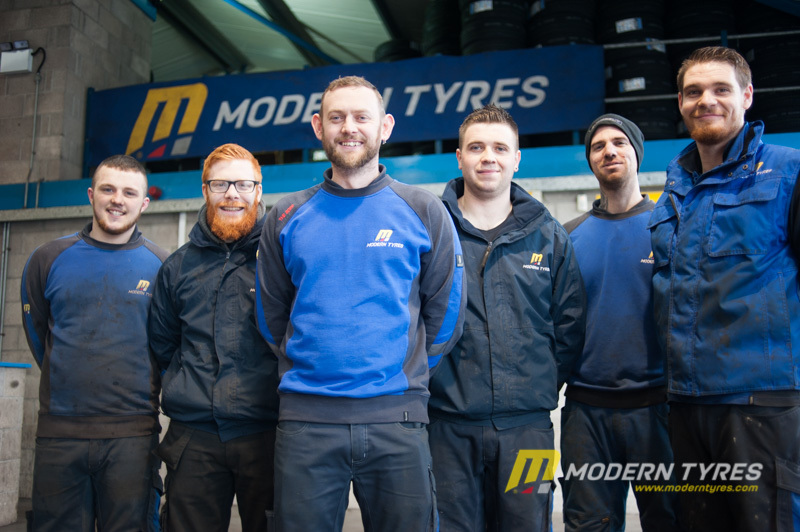 Modern Tyres Ballyclare, depot manager Gerry Heaney takes time out for a tour of this busy depot on Hillhead Road. 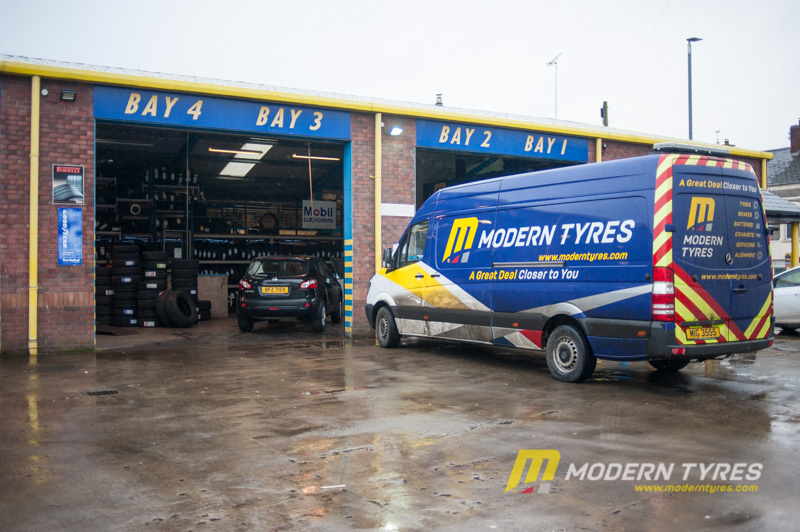 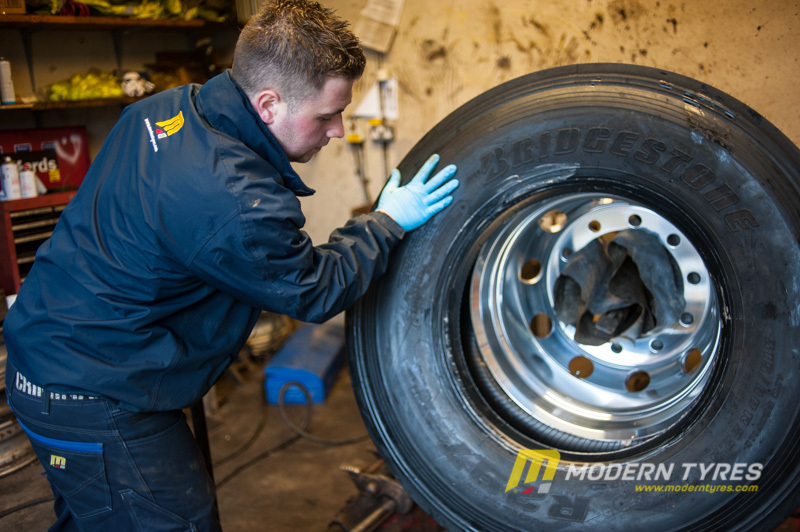 Modern Tyres Ballyclare is situated in the heart of Ballyclare town. 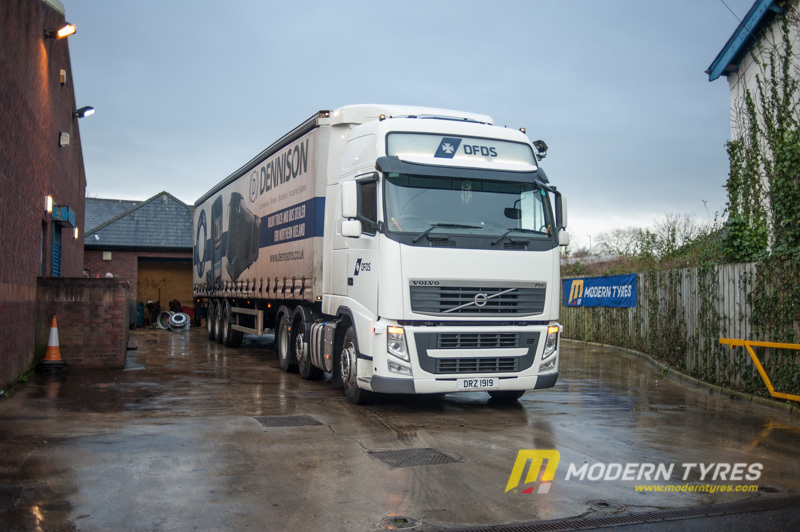 The site of the depot is that of the old railway station on Hillhead Road and Mill Road and not very far from the old paper mill that was once the largest paper producer in Ireland. 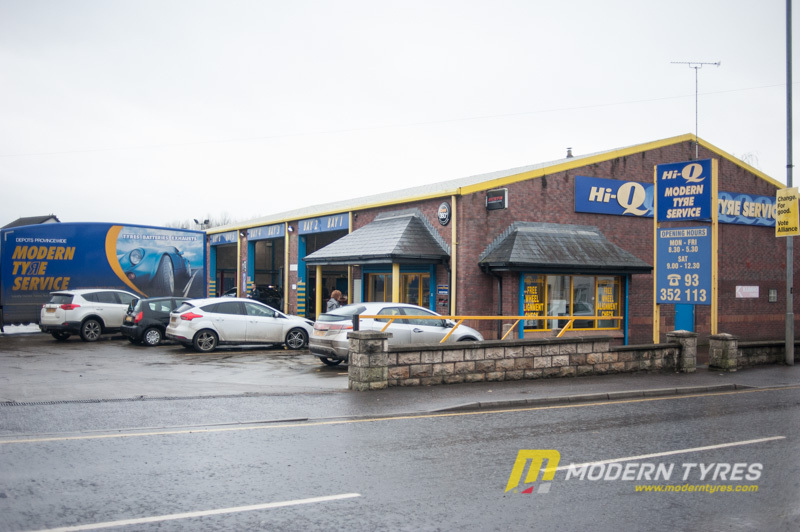 The Ballyclare depot has an exceptional turning area allowing vehicles of all sizes to utilise the services offered including truck tyre fitting and servicing as well as exhausts, batteries, brakes and wheel alignments. 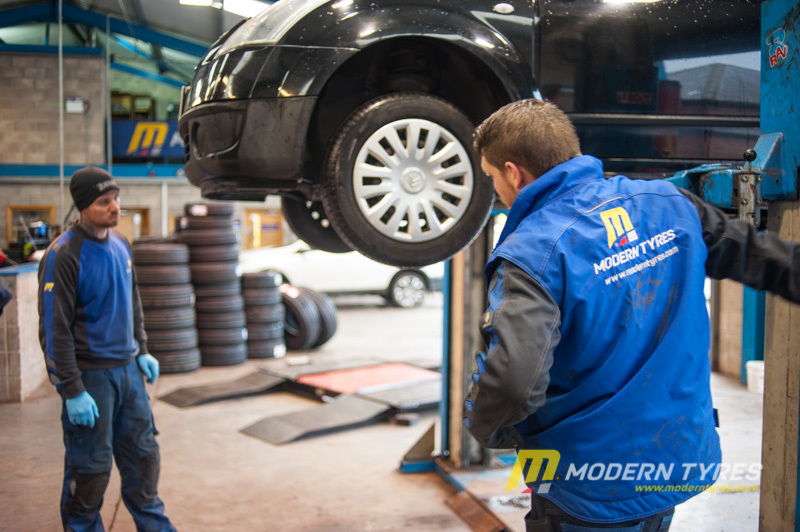 There is also an unrivalled range of tyres to choose from including Kumho, Bridgestone, Goodyear, Dunlop, Continental, Pirelli, Vredestein and many more. 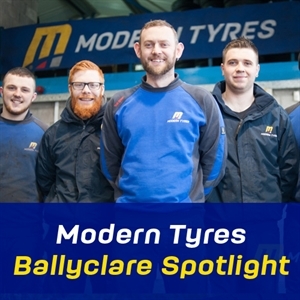 From car, van, 4x4 to truck, agri and heavy industrial, the team at Ballyclare can handle any workload of any size efficiently and professionally. 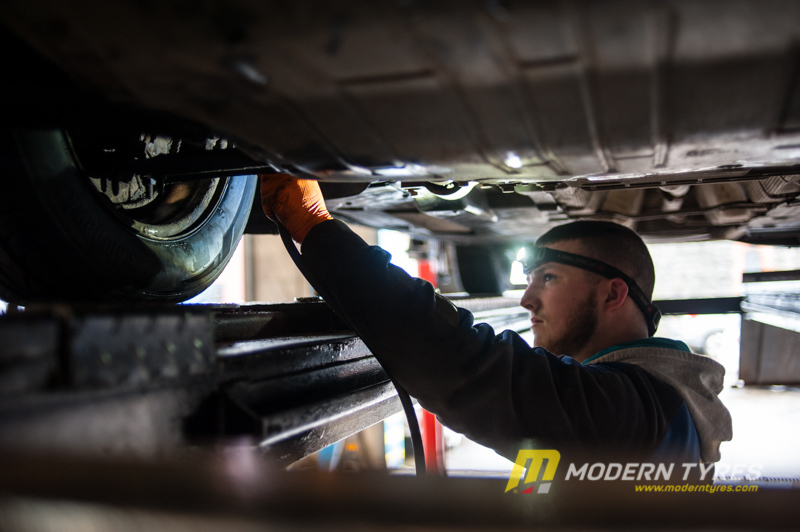 As with all our Modern Tyres depots, the Ballyclare depot excels in customer service and strives to get the customer back on the road safely and efficiently. 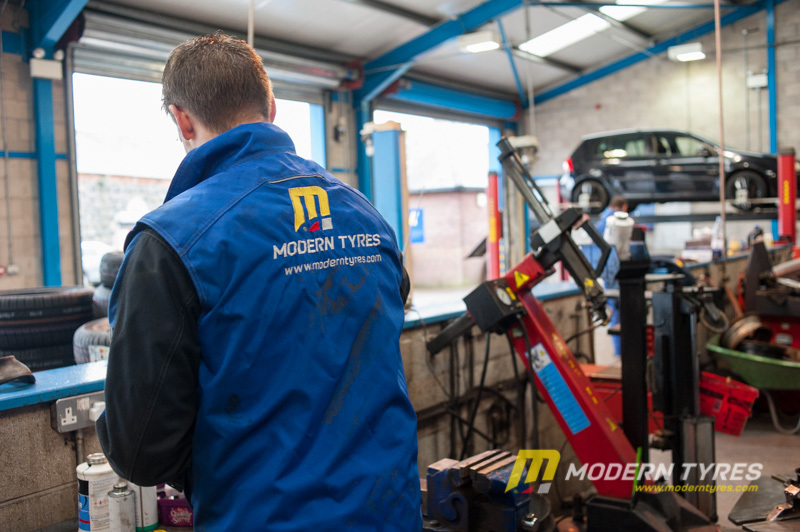 Call in for a free tyre safety check, have a free coffee and get the best advice the industry has to offer all at Modern Tyres Ballyclare.